Presentations for all ages . . .
Would you like your students to experience writing, research, and history from a new and exciting perspective? Would you also like your students to see how an author uses primary sources to explore AND create? 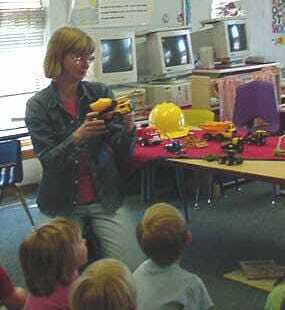 I'd love the opportunity to work with your students at your school or library. In fact, working with kids (and adults!) is one of my favorite parts about being an author. OR . . . If I'm visiting your school for a week as an artist-in-residence, I can give up to 20 presentations during the week. (Yep, 20!) I offer several writing workshops in additional to the ones I've listed below. And wow, do the students create! If you have questions about anything (including scheduling or rates), please contact me. 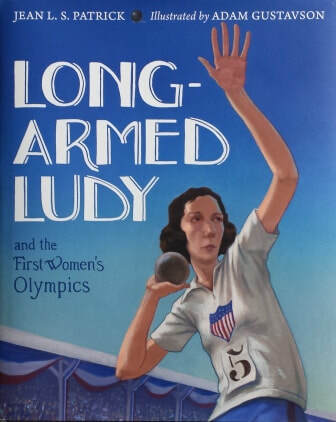 Ludy Godbold was a little-known athlete who competed in a little-known historical event. Not only was she an athlete, but she had a heart of gold. During this interactive presentation, your students will also learn about primary source research, the skill of observation, and the importance of writing for oneself. I can also adapt this presentation to meet the needs of adult audiences, including educators and writers. Although this presentation focuses on baseball, it also inspires young people to read, write, and answer their dreams. All ages. Length: 60 minutes. Group size: Unlimited. During this visual and interactive presentation, I introduce students to my kitchen table (where I write), my routines, and the challenges I face as an author. Next, I give students an inside look at my books about Mount Rushmore, including Who Carved the Mountain? The Story of Mount Rushmore. Meanwhile, I help students understand why sculptor Gutzon Borglum chose George Washington, Thomas Jefferson, Abraham Lincoln, and Theodore Roosevelt to symbolize the history and ideals of the United States. Throughout the presentation, I emphasize the power of teamwork and the value of unique talents. All ages. Length: 45-60 minutes. Group size: Unlimited. This presentation is a great supplement to any United States or South Dakota history unit. Your students will have the opportunity to experiment with similes, sounds, and rhythm as they mix nonfiction with poetry. This presentation is based on Four Famous Faces, a folktale featuring the wildlife of the Badlands and Black Hills region. Grades K-up. Length: 45-60 minutes. Group size: One classroom (approx. 30 students). Can be adapted for an assembly. Please ask for details. In this informal presentation, I interact with students in their classroom. Students prepare their questions ahead of time, asking me anything they'd like to know about my books, my writing process, and my life. This approach helps students see an author as a real person. All ages. Length: 45-60 minutes. Group size: One classroom (approx. 30 students). I have many writing workshops that I can offer your students, depending on age and interest level. In fact, if I am visiting your school as an artist-in-residence, I can work with your students in the classroom for an entire week (elementary, middle school, or high school). Please contact me for information about this incredible opportunity from the South Dakota Arts Council.